Do you think, possibly, that cakes reflect the personalities of their owners? In the same way that owners sometimes look like their dogs? As I sat here editing these photos, this thought worried me slightly. I am almost incapable of making a cake that isn’t a.) enormous, b.) totally over the top (why use a spoonful of caramel when you could use 12 I ask?) and c.) screams “Look at me! Look at me!” practically jumping off the pedestal. Cakes that quietly loaf about, unassumingly loitering at the back of the cake stand, ready to pack a fruity punch when you cut into them are not really my thing. Much as I love to eat them, I never make them. So my friends, what the heck does this say about me I ask? Do you know what, don’t answer that. Let’s just say that it takes all sorts, yes? In other news, Tots100 held BlogCamp right here in Birmingham last weekend. 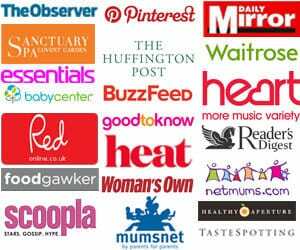 It’s a one day get-together of bloggers, twice a year, where we meet up, eat cake and be inspired. It’s totally free to attend (thank you lovely volunteers) and it was a fantastic day. One of the best things about blogging is all of the amazing people I’ve met because of it and yesterday was no exception. I love that whether you’re a 4 layer, loudly shouting sprinkles and swirls cake type person or a demure, understated traybake, there’s a place in the blogging world for you..
As you may have guessed, this cake firmly sits in the show off category, but do you know, it’s actually fairly simple to make? 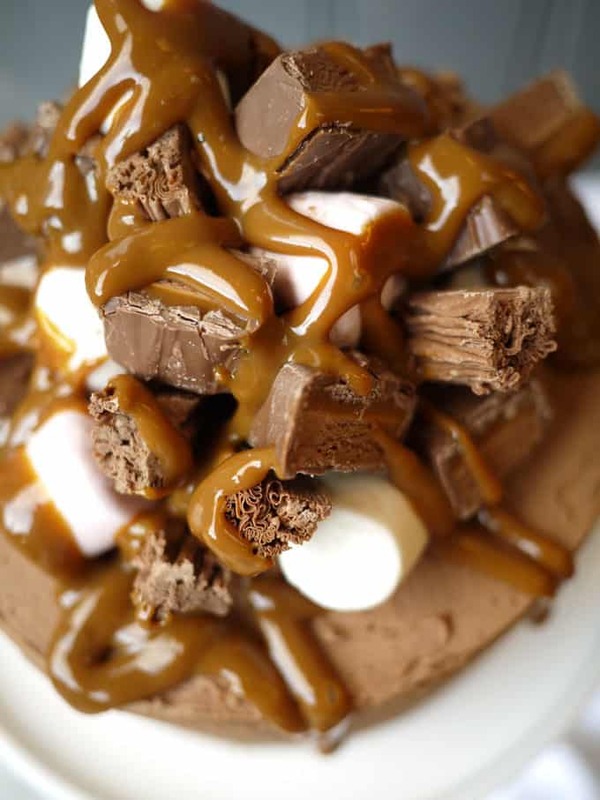 I’ve worked out from the crazy response on my Instagram pictures of gooey stuff that dribbling caramel on just about anything gives it the wow factor – who’d have thought?! I’ve cheated and used shop bought caramel (a favourite cake standby of mine) but you can make your own using my Slow Cooked Easiest Ever Caramel. 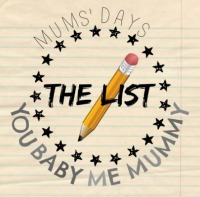 Shhh.. Don’t tell anyone that this show-stopper is actually a doddle. 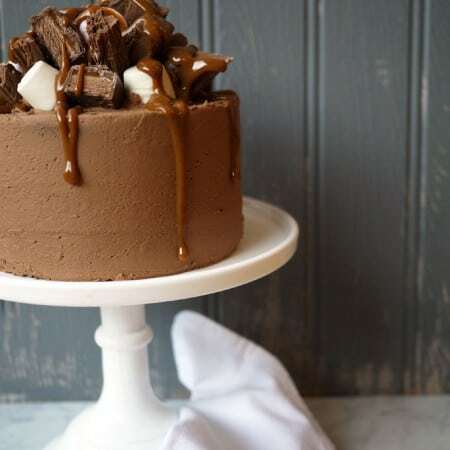 A chocolate dream of a layer cake with a rocky road delights and dribbling caramel. Cream your room temperature butter with your sugars until it’s pale, light and fluffy. Mix in your flour and cocoa. If you’ve been using a mixer, do this bit by hand. It helps to keep the sponge light. Melt the chocolate in a bowl set over a pan of boiling water. Remove from the heat and allow to cool. Meanwhile, beat your butter until it is pale, light and fluffy. Add the icing sugar to the butter and beat again until it's all combined (it'll be very stiff). Open the can of caramel and scoop into a bowl. Give it a stir to smooth the consistency. Use about a third of the tin to sandwich the first two layers together and a further third of the tin to add the third layer on top. Reserve the rest of the caramel. 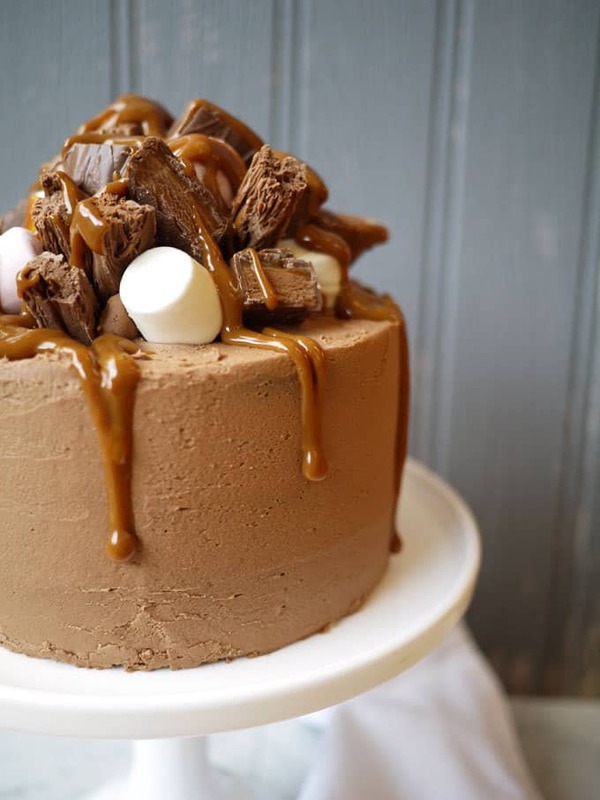 Pile your marshmallows and chocolate goodies on top of the cake. Drizzle with the remaining caramel. 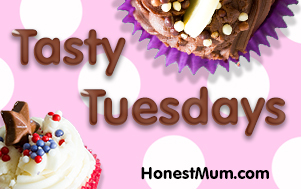 Are you a loud and proud layer cake or an elegant and demure traybake? Go on, do tell.. This is obscene….I LOVE it! 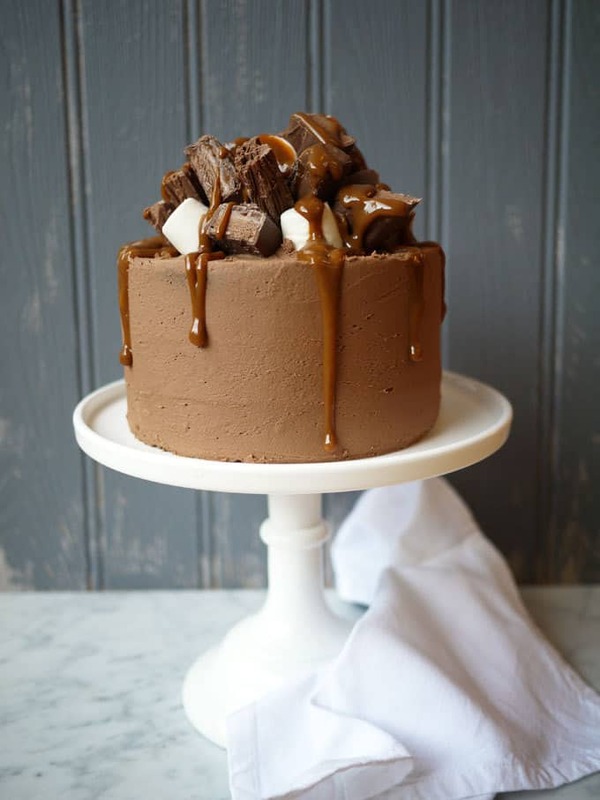 Oh my, that dribble of caramel has got me all hot and bothered, it looks ah-ma-zing! I want this cake so much! I’d be way too scared to attempt anything like that, though, I stick to muffins and traybakes! Yum, yum, yum, that is all! That’s a very naughty but nice cake if ever I saw one. Yum! Ooooh goodness this looks AMAZING! What a beautiful, indulgent bake! I want! Darn, hit a button and shot off somewhere else. Not sure if my comment took flight or not. Just saying I was loving the cake and your blog is looking fab. Pinned and stumbled! It’s nice that bloggers on your area get together and unwind. This looks absolutely amazing, so decadent. I want! yum! going to try and make this I think! 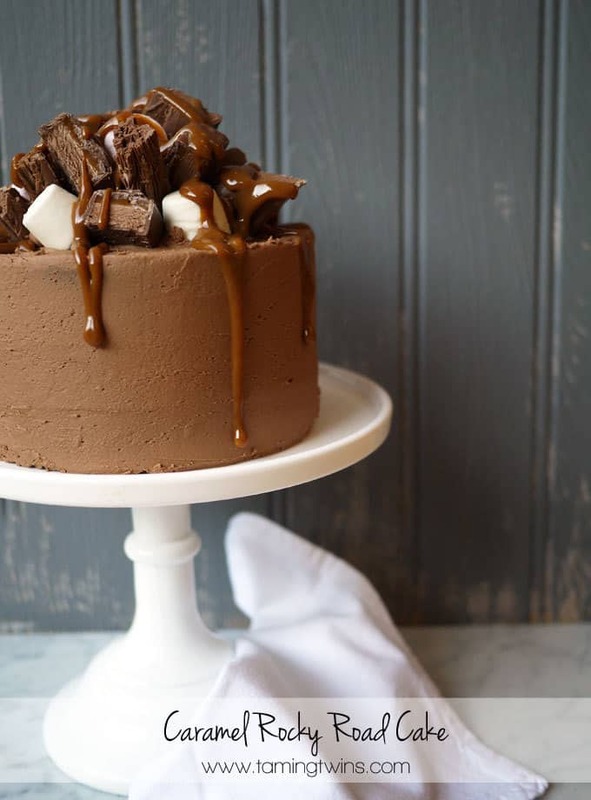 This caramel rocky road cake looks absolutely amazing. Love it and Pinned!! Looks amazing. How long can you assemble it before serving? ?